Tuesday night artists from all over Nashville gathered to celebrate and help raise funds for the fight against Autism at the benefit concert Autism Speaks™ Presents Autism Sings! 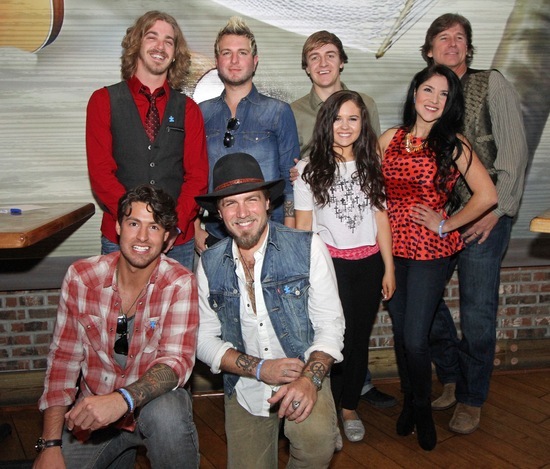 The night included performances by Gloriana, Billy Dean, Bucky Covington, Jaci Velasquez, Tyler Barham, Logan Blade, Katie Chance, and Austin Webb. The show was emceed by celebrity host Evan Farmer. About Autism Speaks: Over the past five years, Autism Speaks has given back more than $2 million to the state of Tennessee. Funds are used to support local research, science grants, community grants, AutismCares grants, Baker Camp Scholarships and various toolkits that are available for free, including the 100-Day Kit, developed to provide much needed support to families during the initial diagnosis period. Country Music News Blog participates in advertising programs that help fund the operation of this site. For more information please visit our privacy statement. 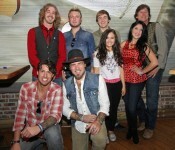 This entry was posted in Bucky Covington, Charity, News by Shauna "WhiskeyChick" Castorena. Bookmark the permalink.